Perfectly designed VDE interchangeable screwdriver for torque controlled tightening of screws. • For 1 kV AC and 1.5 kV DC live circuits. • SVCM steel, correctly hardened and tempered with chemically blacked finish. Contains a torque screwdriver, calibration certificate, 8 blades (SL3, SL4, SL5.5, SL6.5, PH1, PH2, PZ1 and PZ2) and a storage roll. 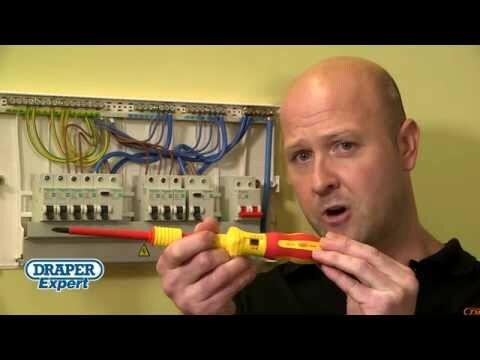 Fully insulated for use on circuits up to 1000V AC, and 1500V DC. Designed for precision torque control between 1.0 – 5.0 Nm. Alleviates risk of damaging terminals or arcing circuits and stops under or over-tightening terminal screws. Interchangeable blades lock into the torque screwdriver and are tested to 10,000V. Conforms to safety and accuracy requirements of VDE, GS, and EN60900 standards. Kit contains a torque screwdriver, calibration certificate, 8 blades (SL3, SL4, SL5.5, SL6.5, PH1, PH2, PZ1 and PZ2) and a storage roll. 1 x Insulated torque screwdriver, 4 x plain slot size: 3.0 x 60, 4.0 x 80, 5.5 x 80 and 6.5 x 100mm, 2 x cross slot sizes: No.1 x 80 and No.2 x 100mm, 2 x PZ sizes: No.1 x 80 and No.2 x 100mm. 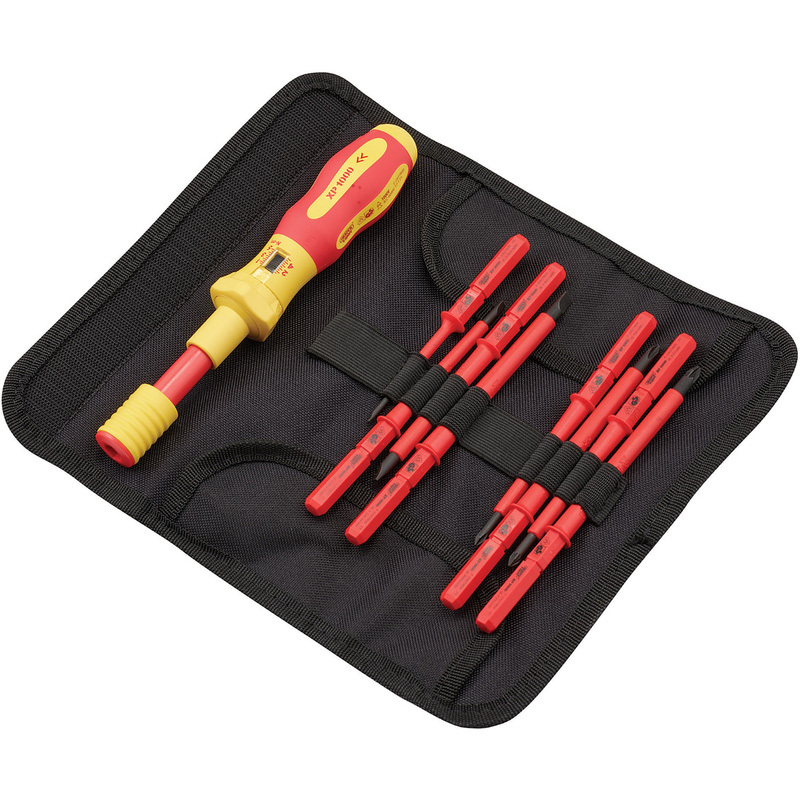 Draper VDE Torque Screwdriver Set (9 Piece) is rated 4.0 out of 5 by 6. Rated 5 out of 5 by JamieBumps from Good Kit Good value, good quality. Rated 3 out of 5 by Kenko from Good feel but handle larger than expected Could be difficult to access small areas due to the length & size of handle. Would be better if a standard & torque handle included. Rated 2 out of 5 by RHynd50 from Disappointed with quality First screw on a BG consumer unit using medium flat blade torque setting close to 3.5 tip broke off. Should’ve gone for a better make. Rated 5 out of 5 by stardust from Draper VDE Torque Screwdriver Set 9 piece I brought this torque screwdriver in early November 16 uesed it a couple of time and its great tool to have when replaceing comsumer unit to get the correct torque.